"How can you be confident that you have a program that is based on proven standards and provides a solid Christian education? It is our aim to minister to you in the great task of educating students in the fear and admonition of Christ. Our site not only outlines curriculum for each grade level but also provides a guide to evaluating the various subjects from a biblical worldview. We are the publishing division of the nationally recognized Christian Liberty Academy School System and is dedicated to finding, evaluating, and producing curriculum materials that are rooted in the Word of God and express a biblical worldview". Individual Books— A parent can shop by subject or grade level to purchase the exact needs for the family. 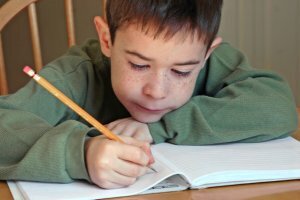 Testing/Evaluation Services—To help in selecting the right materials for your child, Christian Liberty Press will test your child and give you a curriculum recommendation that will fit your child's needs. Curriculum Kits—They have assembled curriculum kits for each grade level (Preschool–12). These complete kits have all of the materials needed to learn, including tests and teacher materials. "When you enroll, CLASS assembles the curriculum best fitted for your child based on achievement test scores and other academic information, and in accord with CLASS curriculum requirements. Books and materials are chosen from a variety of carefully selected publishers. In addition to the publishers routinely assigned within our standard curriculum, CLASS offers alternate publishers in certain course categories for selected grade levels. If you request an alternate course, They will assign it provided that your student’s academic background and achievement test scores are appropriate for the grade level. After you begin working with our curriculum, you may request a new assignment if a particular course proves inappropriate." The materials are very affordable: for example, a curriculum kit for sixth grade is currently $212.00. Kindergarten is only $87.00. This includes tests, answer keys and teacher manuals. The spelling books for both grades are well advanced. The books can be ordered individually or you can enroll in CLASS, which they will do all the grading and book work for you. They have a very good foundation for phonics. You get a lot for the money . The curriculum is laid out for you. NOT all the books are published by Christian Liberty Press. They encourage the parent to supplement the lessons with library books and other activities. You can school year round because Christian Liberty Press gives you a full 12 months to complete all your subjects; or you may complete a grade level early. Christian Liberty Press does offer credited tuition, which is appealing to many homeschoolers who would want a diploma. They use Abeka's language books for grades 2-6. The Christian Liberty Press books are large, workbook style, with black and white graphics and a few pictures. The student can write in them. Although some of Christian Liberty Press texts are not very colorful, the content is well written. With the assessments through C.L.A.S.S (Christian Liberty Academy School System), the results are easy to read and show exactly where your child is academically. This curriculum is not strong on art, music, and physical education. There isn't any type of breakdown to know how many lessons each book would take or even a time-frame to go by. In order to get all the books done by the end of the school year, you need to to divide each book by the number of lessons. Include test days to see how many pages need to be done in one day. The tests are often less than 20 questions. Longer tests with more straightforward questions would be an improvement. Some people feel there are not enough questions for science and social studies tests. The material needs a little updating. Purchasing the CLASS planners was thought to be helpful, but they were just blank forms to fill out. Christian Liberty does not always have very colorful texts. You have support from CLASS: paperwork, grades, transcripts, and a diploma. They will grade your students exams, thus providing some extra accountability. Then, they send the results back to you. If you want to change any book from the curriculum because you think it is too advanced or too easy, CLASS will send you another one. CLASS is more affordable because it gives the parent more control and options than many other curriculum. For example, math is from Modern Curriculum Press and Saxon; the grammar is from Bob Jones or Abeka. CLASS researches and chooses some of the best publishers out there to complete their comprehensive curriculum. With CLASS you are still in charge of you child's education. Many state colleges and universities will accept your child with a diploma from CLASS. This Christian Liberty Press homeschool curriculum will force your child to adhere to a schedule in order to submit tests on time and complete the given curriculum in the given school year. Their curriculum covers all the subjects well. Christian Liberty Press has graduation requirements much like most public schools would have. The science experiments involve use of common household items, so you do not need to invest in some pricey kits. A child completing the CLASS system will be academically prepared and better accustomed to the rigor and deadlines associated with college education. Christian Liberty Press homeschool curriculum reviews are needed. Help other parents know if this is the right product for their homeschooling family.